We have some Chicana victory! Very glad Robert Rowley of Stonewall Democrats stepped up and apologized for using the sexist "c*nt" remark against a Chicana lawmaker via Catherine Miranda. He refused initially. We were shocked by his refusal so we responded to his refusal by asking all Democratic officials his political action committee endorsed to disavow his organization and endorsement. Yesterday morning, Mr. Rowley notified us of his apology and we accepted. That said, Robert Rowley stated he is still supportive of a recall against Miranda. Our woman led organization of independent registered voters are against a recall against Miranda because we believe it is a waste of tax payer monies in this regard. Thus far ... we have seen complaints by Arizona democrats against pro life Democratic Catherine Miranda that should NOT warrant a recall using my tax payer dollars to settle internal democratic infighting or vendettas. Where were complaints made against (D) Ruben Gallego when he worked as chief of staff for well known pro life Democrat Michael Nowalowski? Did the Democratic leaders forget the many Latino Democrats who do hold Catholic prolife views? Let the record reflect that both Fred Duval and Miranda endorsed each other near the beginning of the campaign year. However, It was DuVal who initiated a call to Miranda stating he had to withdraw his endorsement of her because of her pro life views and seemed to be concerned he would not get funding from Planned Parenthood if he did not pull it. Therefore, they both eventually withdrew endorsements of each other after DuVal informed Miranda first he had to withdraw. I repeat: DuVal made the first withdrawal move. Complaints against Miranda for endorsing Ducey when other male Democrats have endorsed Republicans themselves should not warrant a recall using tax payer dollars. Accusations against Miranda were investigated and cleared before. But now a new complaint has newly surfaced that has not been substantiated. When a good ol "Latino" boy is created showing its machismo ways .... Chicanas have no choice but to be more vigilant and aware of the motives behind the scenes. Poorly executed recalls such as the failed Arpaio recall by Citizens For Better Arizona took advantage of our already poor Latino and or Chicano communities with their lack of transparency. The hundreds and thousands collected for that effort by so called professional activists who seem to profit from crisis situations are being watched ... particularly when leaders and or "consultants" have gotten paid handsomely. 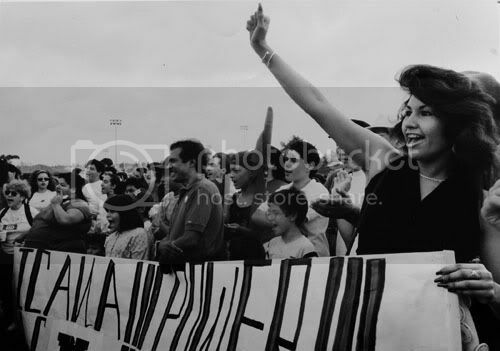 Today marks a historic day in Chicana and Latina history. There will be change. Even though we may not agree with each other on all issues... We will coalesce when we see excessive character assassinations against women by the good ol boy networks. We are getting smarter. We are fed up with misogyny. We know that some men do not even know they have male chauvinistic tendencies until we women band together and blow the whistle educating them to that regard. These days women will continue to fight to have the same standards men have. We've seen Democratic men become the biggest critics against Republicans for domestic violence yet turn a blind eye to a democratic politician like Penzone who also has a domestic violence record in his background, too. Things will get better and women are already bracing ourselves (for an increase in misogyny) in the event a woman decides to run for President in 2016. This small victory will hopefully cause people to be cautious with sexist remarks moving forward that will create a healthier atmosphere and tone for us.